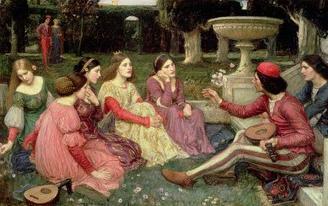 In his 62 years (b.1313-d.1375), Giovanni Boccaccio was a prolific poet and storyteller in Latin and Italian. 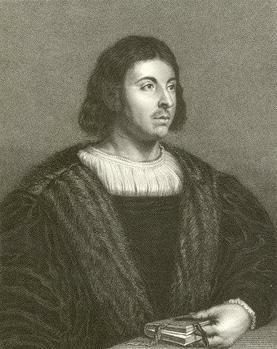 He was a close friend of the scholar/poet Petrarch, and a trusted emissary of the rulers of his day. 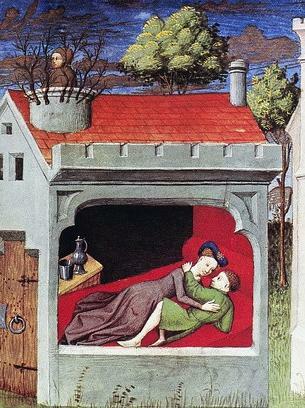 Boccaccio lived at various times in Naples, Florence, Venice, and Paris, where he was actually born to his French mother as the illegitimate son of a Tuscan merchant. His father’s attempts to make him a merchant, and then a canon failed, and he finally found his own way as a scholar, poet and writer of tales. It wasn’t until his middle-age that he wrote the work still read and enjoyed today, The Decameron. The structure of the collection of often bawdy short stories explains the title: the book is divided into ten days during which each member of a group of ten people tells one tale, so each day’s tales equal ten. Each day, the group is given a theme by one of the storytellers to which their stories must comply, such as infidelity, honor, avarice. It was an outbreak of the plague in 1348 in Florence that prompted Boccaccio to finally write the work for which he had long been collecting material. The group of ten are actually in Fiesole above Florence to escape the plague, and tell the stories to provide amusement during their exile. Like the poet Petrarch with his Laura, and poet Dante with his Beatrice, Boccaccio had his Fiammetta, his poetical inspiration, and in his case, his lover and introduction into court society. He featured her in many of his works, including The Decameron. 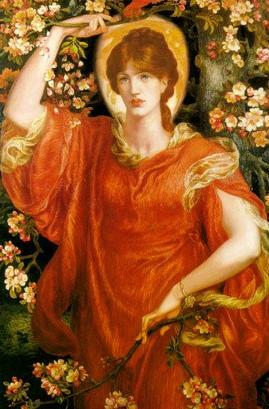 Fiammetta is one of the storytellers, and at the end of the Fourth Day he describes her receiving the laurel wreath, the kingly symbol given to the person who will decide the next day’s theme. His description of her is most likely how Boccaccio lovingly saw her, although I’m not too sure I’d like to be said to have “eyes in her head that matched those of a peregrine falcon”. The Decameron was one of the earliest printed books, the first edition coming out of Venice in 1471. Before it was printed, people paid to have it copied and illustrated for their private libraries. But early editions of the book are a rare find today, because most were burned in Florence’s main square by the radical reform-mined preacher Savonarola in 1497, about a year before he himself was burned there for heresy, actually, for being a big pain in the behind to the rulers of Florence and to the clergy. 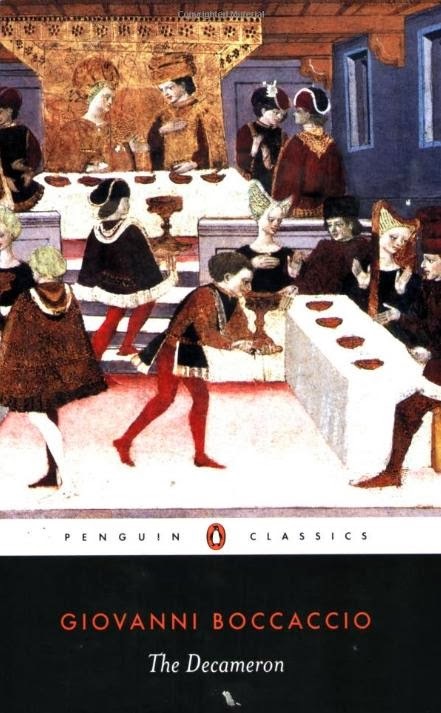 Early English translations of The Decameron were edited of their bawdiness, just as early editions of A Thousand and One Nights was stripped of its licentiousness in early translations. Only later did faithful translations appear. But even before it was translated into English, English writers Chaucer and Shakespeare borrowed generously from the work. ...ask my husband if I ever denied him, but did not rather accord him, when and so often as he craved it, complete enjoyment of myself. Whereto Rinaldo, without awaiting the Podesta's question, answered that assuredly the lady had always granted him all that he had asked of her for his gratification. "Then," promptly continued the lady, "if he has always had of me as much as sufficed for his solace, what was I or am I to do with the surplus? Am I to cast it to the dogs? Is it not much better to bestow it on a gentleman who loves me more dearly than himself, than to suffer it to come to nought or worse? For more about the villa that was the location of the storytelling, visit Italophiles.com (Candida Martinelli's Italophile Site), my website about Italian culture. 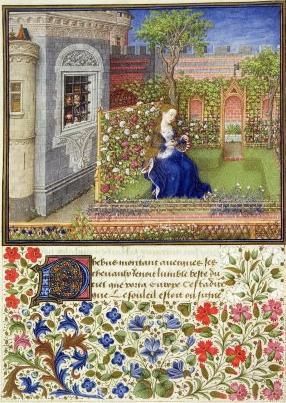 The Boccaccio page has lots of info and images. Free e-books of The Decameron are available from Project Gutenberg, the grand-daddy of all free e-book websites. Paperback editions of The Decameron, as well as the bawdy 1970s film, are available via Amazon.com.